I’m going to be spending the next year deep in research of all kinds for a project that will shortly be announced. 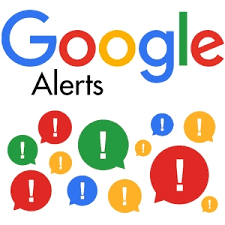 Until then, I have created a number of Google alerts, using four variations of search terms. Which means every morning I receive four emails with between four dozen and 100 links to various articles and references to my subject. Right now I spend about an hour every morning browsing through them. The ones I think might be useful, I bookmark. Soon I will have to schedule a good hunk of time each week to review each saved item, determine if I will need the information and how I will use, and archive the material I plan to use. What I love most about research, even these Google-generated items, are the surprises that leap out at me. Referring me to something I had not thought of being associated with my topic. Links to great work being done by wonderful people. Trivia and miscellanea. The secret will be figuring out what I need, what is too much, and when enough is enough.